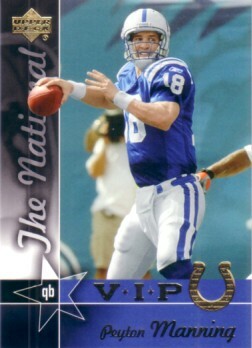 Peyton Manning 2005 Upper Deck National Sports Collectors Convention VIP promo card #VIP6 distributed exclusively to a very small number of VIP badgeholders at the NSCC in Chicago. NrMt or better condition. ONLY ONE LEFT.